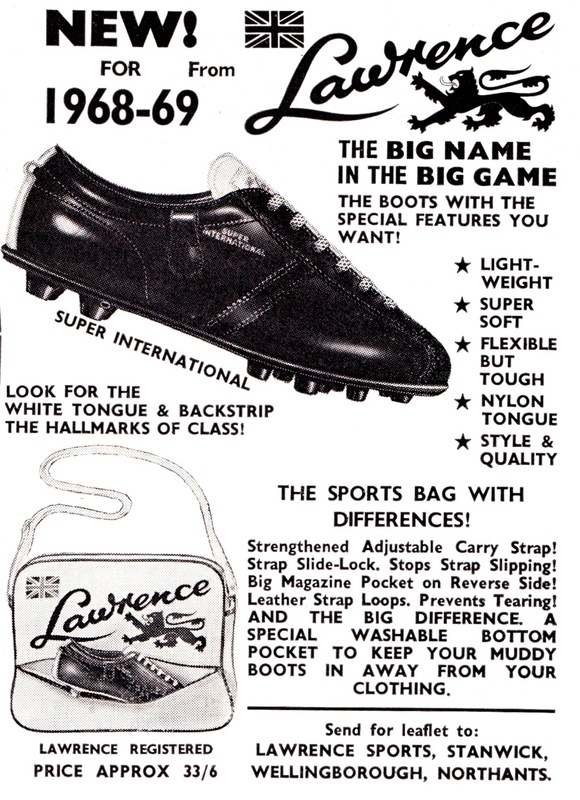 Lawrence is probably not a boot manufacturer brand that will be strongly remembered even by our older readers. 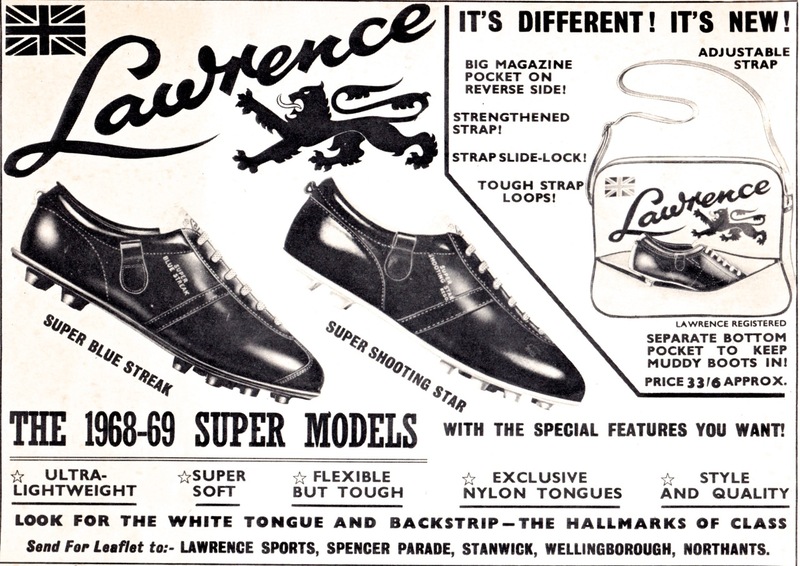 Like many of the smaller sportswear companies we feature as part of the regular A Word From Our Sponsors feature, Lawrence’s heyday came in the 1950s and 60s before their market share was gradually squeezed by the growing clout of the majors. 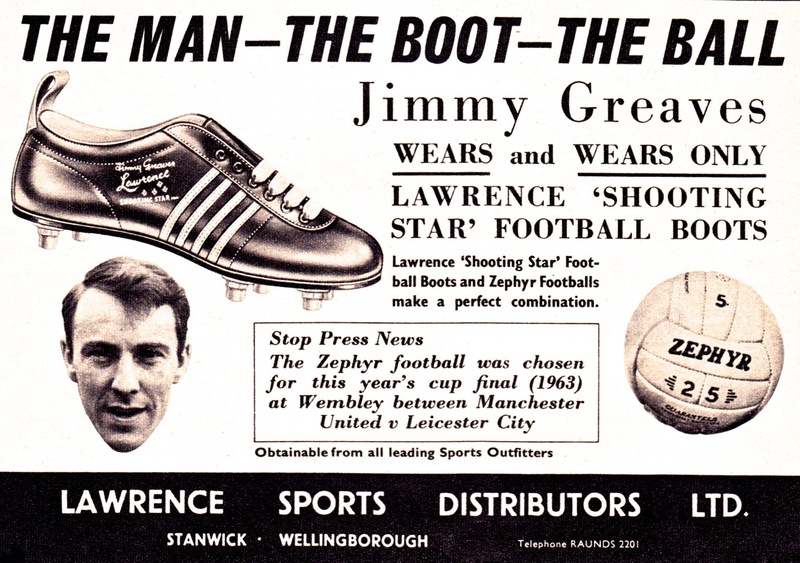 Lawrence did not boast many notable boot contracts, but did benefit from some well-chosen individual endorsements featuring Tom Finney, Matt Busby and Jimmy Greaves. 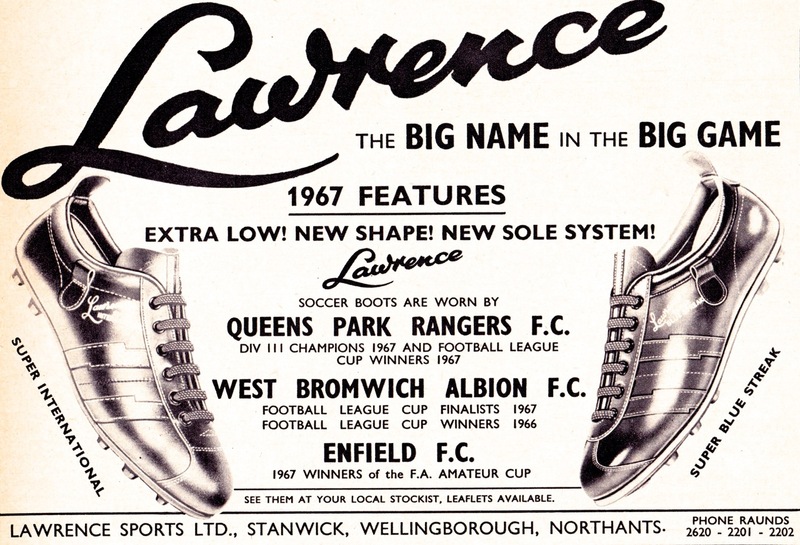 Examples of these and other Lawrence ads from the 50s through to the 70s feature in our gallery. 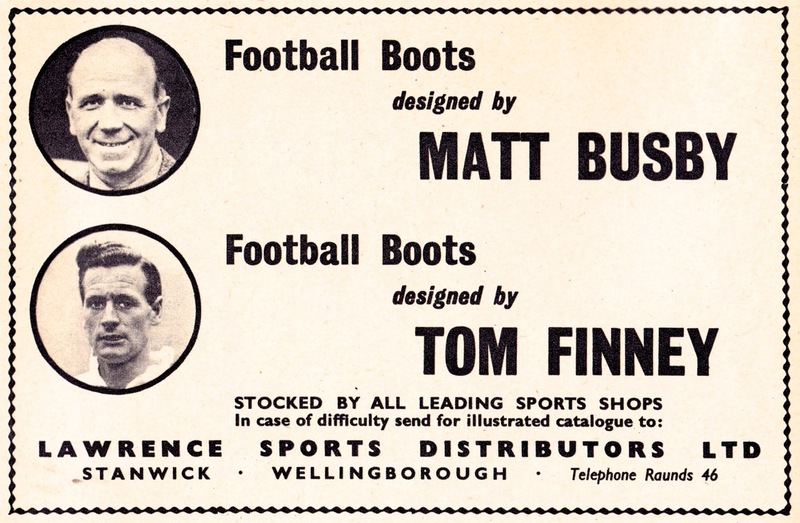 Being based in Northamptonshire, the home of the British shoe trade, were the boots bench made? 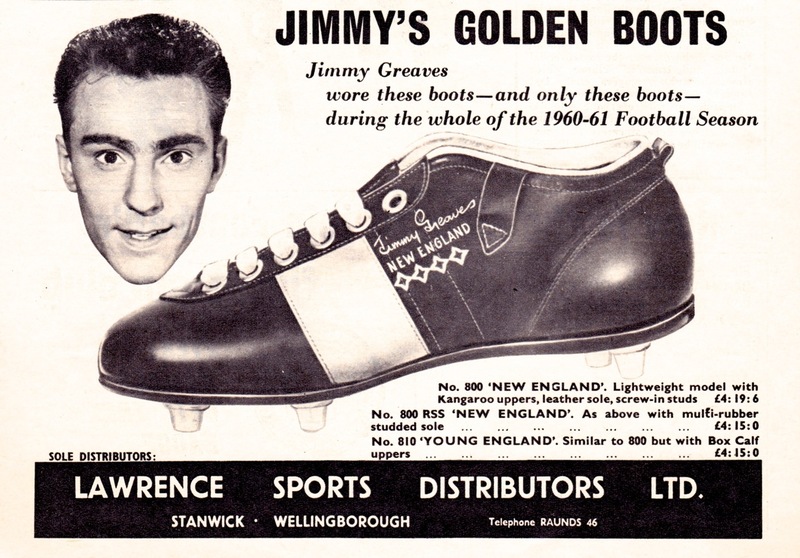 Ha, sorry Giles, no idea at all. 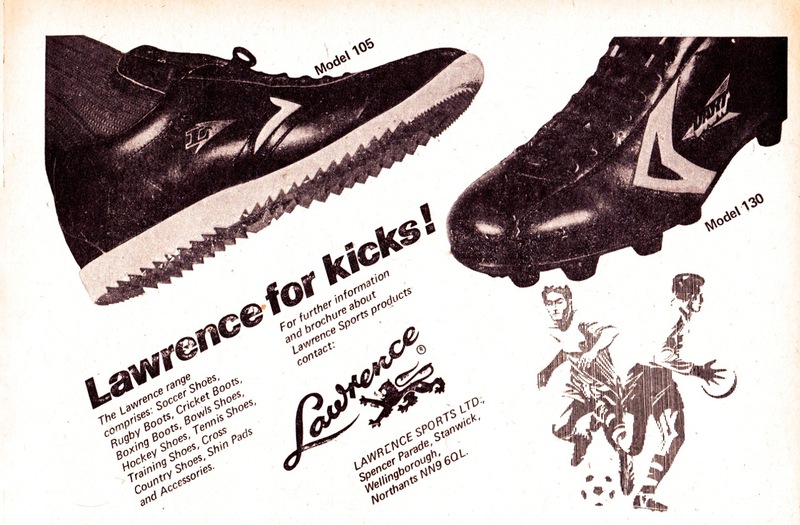 Remember Lawrence ‘Blue Streak’. 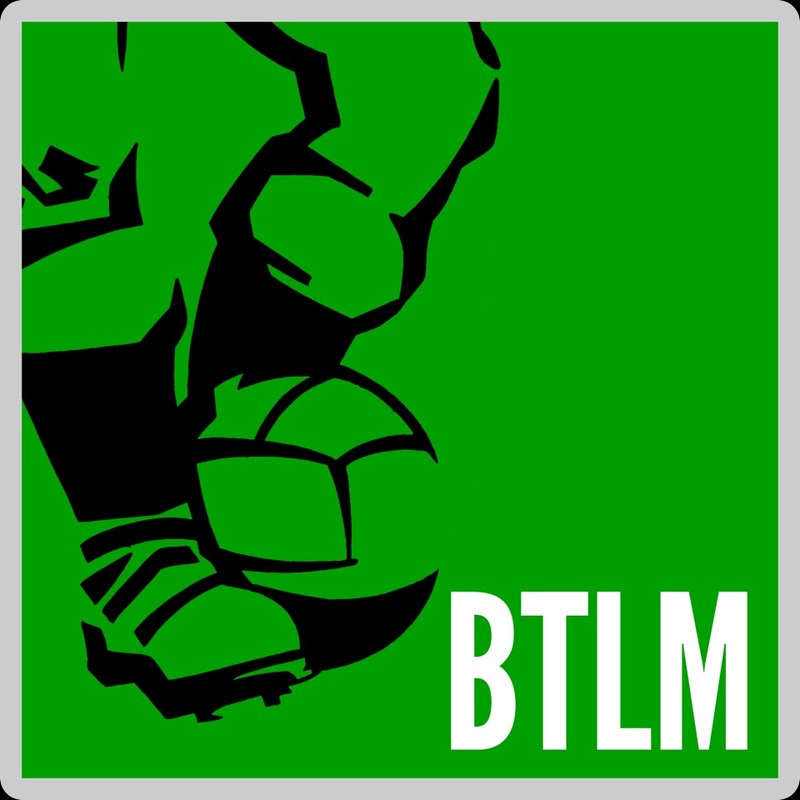 Very like Adidas ‘La Paz’ – black uppers with 3 thin white stripes and blue moulded sole.. 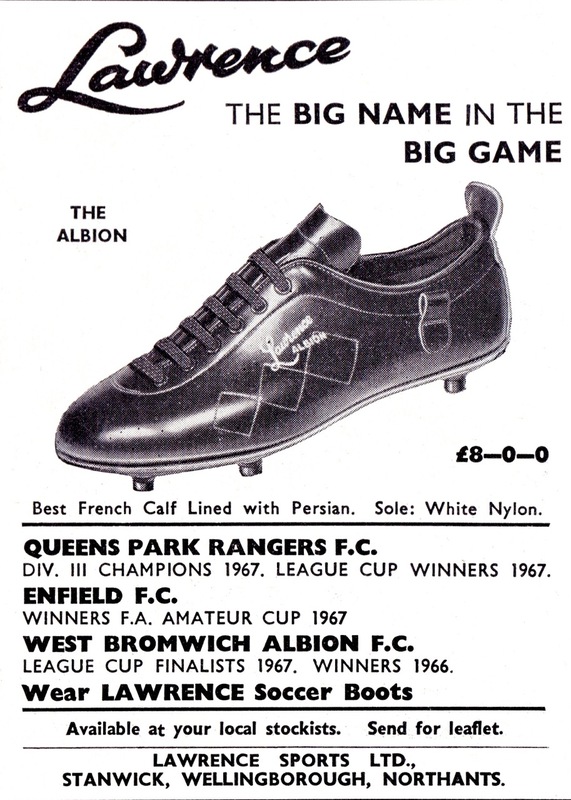 I bought a pair in a sale to cope with hard grounds at the end of 1967/68. 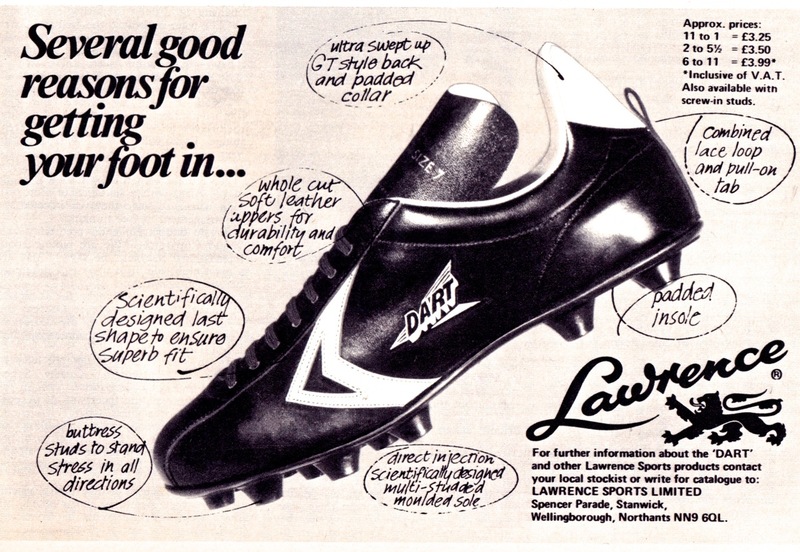 Had earlier bought a pair of Lawrence ‘World Cup’ – all black leather with the ‘double lightning’ symbol Lawrence had adopted in the mid 1960’s. 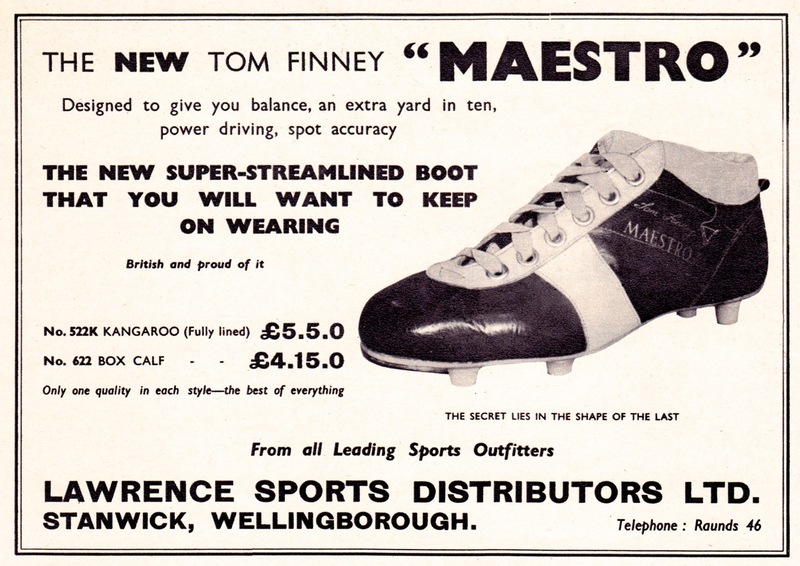 Leather sole with screw in studs- 2 sorts provided;- leather with brown plastic washers and black nylon studs with white washers. 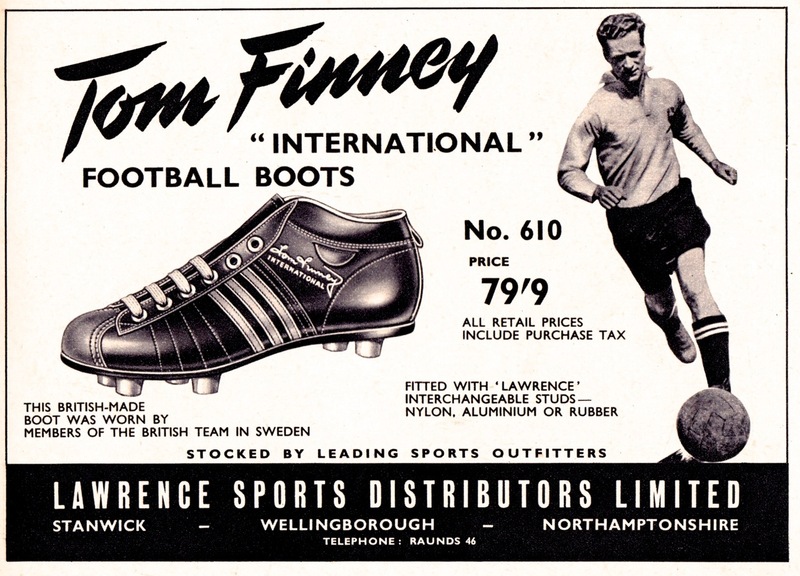 Excellent leather and very comfortable.